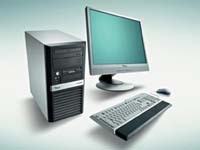 Are you in need of computer help? Look no further than Fair City I.T. Solutions. All work is carried out by a qualified engineer with over 10 years experience at providing support to home and business users. We have a wide range of services available to cover every computer and network eventuality including broadband issues and wesbite design. + A lot More Just ask ! !